There are a thousand different considerations to make when building a new brand online. You’ll want to fret over a variety of technical concerns that relate to e-commerce, search engine optimization and marketing. You’ll need to obsess over many different design elements and aesthetic concerns as well. All of these elements play a role in how well your brand is received by both search engines and visitors. Did you know that the selection of a domain name can affect how people and search engines view your brand – both in terms of substance and style? We’ll review some core components today that pertain to selecting the perfect domain name, which will help you make the best decision. You don’t want to pick a domain name that already has dozens of similar variations. Why? Because this makes it very easy for customers to confuse you with a variety of other brands. While some may believe this is a desired outcome in the short-term, growing businesses and brands do not want to suffer this fate later on down the road. In order to be pinging users with the maximum amount of brand awareness, you should opt for a domain name that embodies your brand and that isn’t similar to many other entities. Top level domains (TLDs) come in all shapes and sizes. These include .com, .org, .net and literally hundreds of other variations. 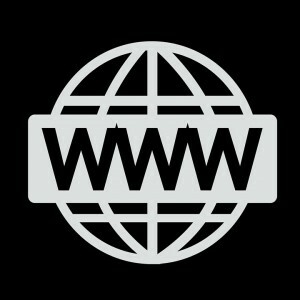 Many brands and businesses opt for the simple .com variation when establishing their websites, but does the .com TLD best signify your brand’s objectives? For instance, charities and other non-profit endeavours may be better-off using a .org or .net TLD. Likewise, an international branch of a brand may wish to use the country-based TLD for their domain name instead. With less competition in the more uncommon TLDs, you may also be able to secure a simpler and more relevant domain name when opting for this approach. Remember that your domain name is a key element of brand awareness. Once someone visits your site for the first time, you want them to remember your domain for future visits. Otherwise, these visitors may be lured in by competitors the next time they go to search for the solution you provide. This issue can have huge implications on search engine optimization if not carefully considered, so be sure to think it through and select the most reasonable and relevant domain name that is also as short as possible. Ideally, your domain will only feature letters from the alphabet. Why? Because any additional characters – numbers and hyphens, to name two – are potentially forgettable elements for new visitors and users who wish to memorize your domain and/or visit again in the future. You want the website to be easily remembered and easily found. Pinging users with a variety of different characters in the URL will only make it more difficult to remember. These four simple tips are among the most helpful in selecting the perfect domain for your brand. 82% of Facebook Users Are Active – How Can You Take Advantage of This?